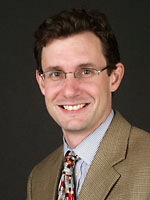 Tepper also serves Vanderbilt as an associate professor in the department of sociology. He the leading writer and speaker on U.S. cultural policy and his work has fostered national discussions on cultural engagement, everyday creativity, and the transformative possibilities of a 21st century creative campus. In his recent book, Not Here, Not Now, Not That! Protest over Art and Culture in America, Tepper examines a range of controversies over films, books, artworks, clothing, music, and television in many cities across the nation, probing into the complex nature of public protest. Tepper holds a bachelor’s degree from the University of North Carolina at Chapel Hill; a master’s in public policy from Harvard University’s John F. Kennedy School of Government; and a Ph.D. in sociology from Princeton University. Prior to Vanderbilt, Tepper served as deputy director of the Princeton University Center for Arts and Cultural Policy Studies.